Saturday night we went on a date night to the concert of the Arctic Monkeys, just the 2 of us (together with 8000 other people that is). We really had a lot of fun, singing all the songs and feeling the drums beating in our hearts. That's what I've always loved about going to concerts,you can physically feel the music, you don't get that from cd's. The Monkeys were great, they have grown so much in their music and their appearance. Mr Alex Turner steals the show with his voice, his lyrics and his moves. What I love about this group is mostly that Turner is capable of capturing the feeling of being in love and makes you feel it too, because it feels genuine. Anyway, before I go into a lyric episode, perfect concert for a date night. 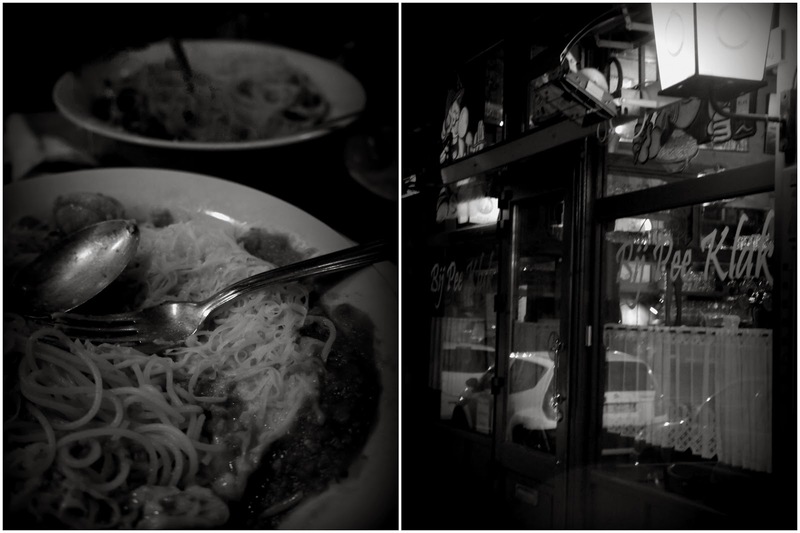 After the concert we went for a midnight dinner at 'De Patattezak', a charming old fashioned little café/Resto with a very nice Spaghetti Bolo (Even at midnight you are queuing)Perfect for a late night snack and drink after the concert. I love date nights with my man!